Thoughts, news and musings from the metajournal team. Full text article access through your institution! One of metajournal's very special features is providing direct links to full text articles via your institutional subscriptions. Many metajournal people already have full text access to their specialty journals provided by their hospital, university, college or professional organization. Metajournal can provide direct links to your institution's library servers to, in most cases, take you straight to the full text article if your organization has a subscription to the journal. After you have told metajournal your affiliated institutions, you will notice new links beneath each article taking you straight to a search for the full text at your institution. If you access these links while on your hospital or university network, then you will likely be taken straight to the full text. If you access from outside you will be taken first to a login screen for your institutional library system before being directed to the article (this should only need to be done infrequently). Telling metajournal which institutions you are a member of is easy – simply click on the 'Add institutional full text...' link when you see it below an article, or visit your metajournal settings page. You can add or remove any number of affiliations at any time through the settings page. So far metajournal can add access to more than 250 institutions across more than a dozen countries. Unfortunately some institutions use better, more reliable full text systems than others so the experience can vary. Please contact me if you run in to any problems, and especially if your institution is not listed – and I will work very hard to get it added to metajournal. I hope you enjoy easier access to all the relevant evidence that metajournal finds for you! Okay, I admit it doesn't sound very exciting – but I think this small feature will both save you time and make achieving your Continuing Professional Development requirements a little bit easier. Many colleges and medical boards now require evidence of CPD activities, including medical journal reading and reviewing. Some require simply an estimate of the time spent, while others like ANZCA require submission of a bibliography of every article you have read! Because metajournal keeps track of the abstracts you read, the articles you favourite and the full-text papers you retrieve, we can also provide you with a report for submitting to your CPD/CME organization. Simply click on 'My CPD Reports' in the dropdown menu, choose which type of article-activities you want included, a date range and then whether you wish to view the report as a web page or as a PDF. Voilà! Metajournal will even estimate how long you have spent reading papers! And if that's still too much work, metajournal automatically emails out a quarterly PDF CPD report to all our subscribers. Happy staying up to date! 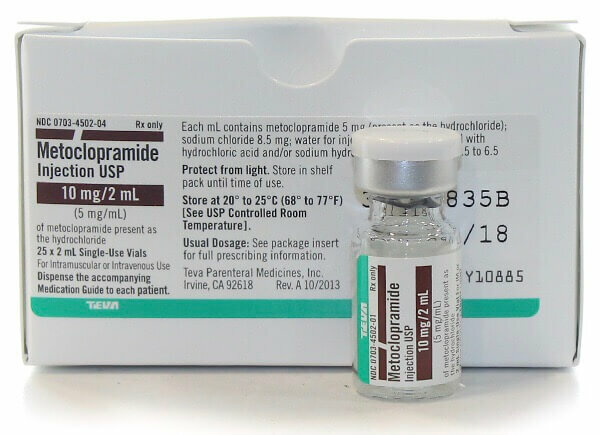 Metoclopramide readily crosses the blood-brain barrier where it mediates anti-emetic effects primarily as a dopamine D2 antagonist in the chemoreceptor trigger zone (CTZ – located in the area postrema of the 4th ventricle). Metoclopramide also has mixed 5-HT3 receptor antagonist and 5-HT4 receptor agonist actions. The former may contribute to anti-emesis at higher doses and the later to its pro-kinetic effects. Muscarinic cholinergic actions have also been identified, both through increasing acetylcholine release and by increasing receptor sensitivity to acetylcholine in the upper GI tract – further contributing to the pro-kinetic effect. I have been intrigued since the first case reports appeared describing the use of sugammadex in rocuronium anaphylaxis. It sounds beautiful and elegant. A drug that magically mops up the offending molecule, removing it from circulation; quickly reversing the cardiovascular collapse as rapidly as it reverses muscle relaxation. There have been case reports from 5 countries showing dramatic improvement of rocuronium-confirmed anaphylaxis after administration of sugammadex. One case study showed a dose-dependent effect of sugammadex on modifying anaphylaxis. There are not yet any published cases of rocuronium anaphylaxis where sugammadex was administered without clinical improvement (though beware). Sugammadex although incompletely encapsulating rocuronium, does prevent the rocuronium epitope from binding IgE. Cutaneous and in vitro models of hypersensitivity have shown no or limited ability of sugammadex to modify type 1 hypersensitivty after triggering. Our understanding of the pathophysiology of anaphylaxis is over-simplified and incomplete. Unfortunately the truth is not quite as clear. Case reports showing impressive recovery of rocuronium anaphylaxis minutes after giving sugammadex are tempered by in vitro and in vivoimmunological studies suggesting an inability of sugammadex to modify a type 1 hypersensitivity reaction. The reality is likely somewhere in between, highlighting our limited understanding of anaphylaxis and our tendency to rush to over-simplified models of disease processes. "A dose of 500 mg (6.5 mg kg21) was given while chest compressions were in progress. The last dose of epinephrine had been given 4 min previously. Approximately 45 s after administration and while chest compressions were in progress, the patient suddenly opened her eyes and reached for her tracheal tube. 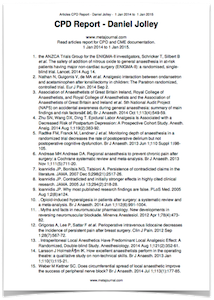 Two studies caught my eye in Anesthesia & Analgesia. Teams from both Canada and South Korea independently investigated the anxiolytic value of using cartoons during paediatric induction. The concept is not new, though this evidence is. 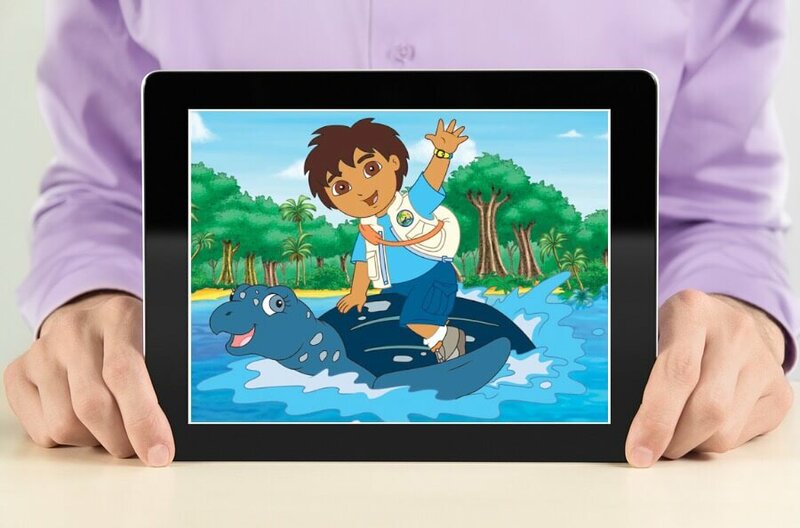 The teams looked at different admission and induction types and in two distinctly different cultures, but showed very similar and significant benefits of using cartoons during pediatric induction. 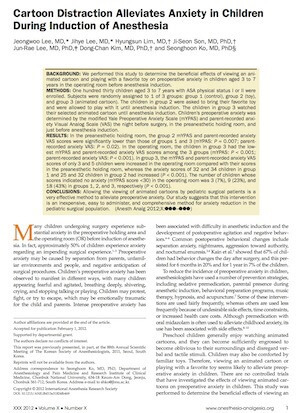 Both papers highlighted the cost of perioperative anxiety in children. 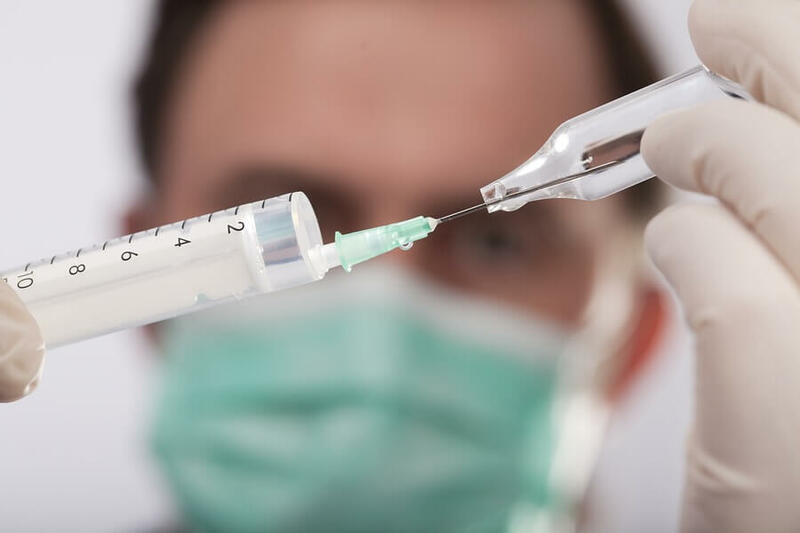 Anyone with even a passing pediatric anesthetic practice will agree with the reported 50% incidence of perioperative anxiety. Intense anxiety is associated with negative behavioural adaptations, some of which persist for months or longer. Severe childhood anxiety at anesthetic induction is almost as distressing for parents and anesthetist alike as it is for the poor child.